Bobby Owsinski's Big Picture Music Production Blog: Burning In Headphones: Myth Or Fact? Burning In Headphones: Myth Or Fact? Have you ever burned in your headphones before you used them? Yeah, me neither. That's why I was surprised to read about the more or less common practice of burning in headphones for as much as 400 hours before using them. Want to guess who does that? Right - audiophiles, of course. It seems that many audiophiles have extensive rituals for burning in phones, from playing music continually through them for 24 hours, to blasting them with 40 hours of pink noise, to a large dose of Lou Reed's Metal Machine Music. Me - I just buy them and use them. 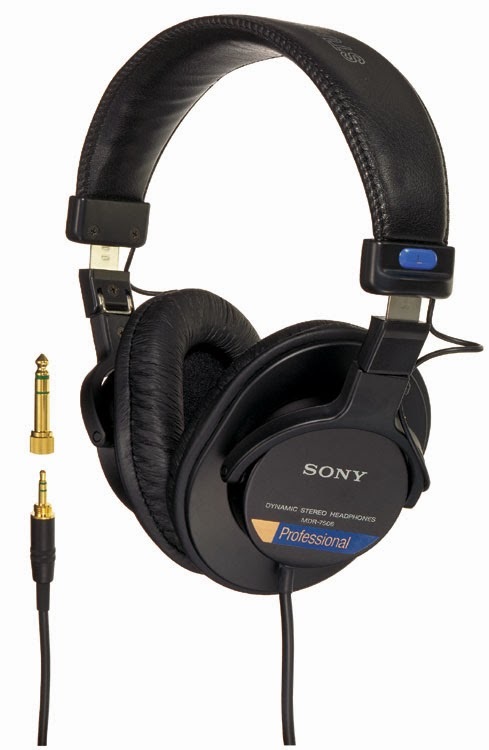 I haven't noticed a difference between a well kept pair of older Sony 7506's or Fostex T20's (or my favorite cheap phones - the Monoprice 8323) and new ones unless the company upgraded the drivers. It all seems like a myth to me. Shure has apparently looked into this phenomena as well and have found that if the phones haven't been abused, there's no evidence that the frequency response changes over time. Of course, if the phones are used in the studio where the musician has control over the level, chances of abuse are pretty good, as we all know too well. Here's something else to think about on the subject. The competition in headphones in pretty fierce these days, so don't you think a manufacturer would do everything in their power to make their phones sound as good as possible right out of the box? If that meant burning them in for 400 hours before shipping, don't you think they'd do that? To my knowledge, no headphone manufacturer uses a burn-in process yet, but if you know of one, let me know. I'm dying to hear the evidence that the practice is worth the time. If it is, I'll be getting out my pink noise generator. OK, Bobby, I'll skip the burn-in on my new headphones. But we're still all coloring the edges of our CDs with green permanent marker, right? That one's still real, I trust. well, based on my listening experience, sound burning can improve the response of a 'newly' cans or speaker but over doing it for 400 hours is absolutely ridiculous and may damage the cans itself. I just do it for a few hours (around 3-5 hours) of pink and white noises, pure independent low frequencies (5,10,15,20,25,30,40,50,60,70,80,90,100,150,200Hz)and frequency sweeps from 20-20kHz. as you notice a freshly new, out of the box, cans may sounds very new as the driver itself haven't working before - some may have been test before put in the box but still not ripen enough to be at the optimum standard. This 'ripen' driver sound proses can be done without doing any burn-in at all but it takes longer time to match the optimum standard. When I did this burn-in, it shorten the time for driver to sound at the best. This case it's like tuning remo skin drums for the first time. we over stretch the drum's skin overnight to let the skin's rubber stretches and fit into the drum before releasing it. The drum will sounds better - acoustically. It may seems funny but the theory behind the noises itself may be the answer. White noise is an equal energy distribution across the frequencies while pink noise is equal average energy distribution across the octave. These noises has been the main calibration in acoustic test or audio measurement test. When we play the noises, it like we just teach the driver to vibrate in a constant motion and not in a complex vibration. Same goes to the pure independent low frequencies. The low frequencies will let the driver move in slower motion pattern. Thus, teaches the driver to vibrate in same manner. As we know, everything has its initial resonance frequency. As the driver vibrate at a pure independent frequency, we'll notice the driver's resonance frequency when the sound produce at a higher intensity - of course, that will need a measuring tool as our ear is not flat enough. Another advantage of burn-in is we know the driver much better than what was written on the box. Well...this one's simple (at least, to me). First, make multiple measurements (not just one) of the 'un-burned' headphones using a 'canned' (no pun intended) drive file of sufficient length and of a reasonable drive voltage (that allows the transducers to oeprate in the linear region) to allow adequate averaging - be it pink, white, swept, whatever. That is, put the headphones on a mannequin head microphone, measure, remove them, replace them, remeasure...do this about 10 times or so, because you'll need to average the data. Collect time domain data from each test. Don't leave the headphones on the mannequin and collect a series of data - that only addresses repeatability, but not reproducability. Choose an appropriate measurement technique. I'd likely use pink, and then do a complex FRF between the input voltage and the measured pressure response (for each run), and I'd also compute the COH between input and output). Compute the individual FRFs and take their average. Likewise for the coherence. "Burn-in" the headphones however you want for however many hours you wish. Repeat the process as described above. Now, after that, if you happened to have another set of the same type headphones, from the same manufacturer, and of the same revision level, you could repeat the process. This would help assess the integrity of the process control of the headphones - a good thing to know if subjectively assessing differences between the same type of headphones from a given manufacturer. If the before burn in data and after burn-in are strongly dissimilar, then this would seem to support the idea that it makes a difference, but if not, it pretty much negates the conclusion that burn-n makes a difference. Likewise, if the before burn-in data are compared to the after burn-in data from the second set of headphones...and THOSE data are then compared to the data from the first pair of headphones, this would suggest sample to sample variability in the Manufacturer's process control. Interesting, I never knew people did that. The things you learn. @ Matt: Yep, this is pretty normal for the people who do a lot of transducer development. They don't always use a mannequin head in order to conduct the tests (there are other means of doing so), but it's a pretty natural boundary condition under which to execute the tests. If you are an Audio Engineering Society member, you can find several papers on the AES website that address these issues. I'm guessing there are more out there as well, but I find the level of AES papers (or other papers from ASA et al that are peer-reviewed) is almost always a cut above those that you may find in blogs and such (to be fair though, here and there, one can find some pretty detailed and well-controlled test results outside of the more 'formal' sites). So, if burn-in is indeed valid, then really, you should never use a new dynamic microphone out-of-the-box lest its frequency response drift during use; you should subject it to something like pink noise in a reverb chamber for 400 hours (or whatever)...THAT way you'll know you're getting the true impulse and frequency response of the microphone. After all, a dynamic speaker is a microphone, and a dynamic microphone is a speaker; the principles of operation in each is mathematically speaking, identical. Therefore, by the principles of duality and linearity, what applies to one applies to the other; so if you believe that burn-in is real, you have no choice but to burn-in all dynamic mics before using them. Has anyone reading this EVER burned-in a microphone? I'm not of course suggesting that burning-in microphones is required, I'm just pointing out something that the supporters of 'burn-in' never seem to mention or consider. To sound right brand new headphones must play music for dozens of hours before they finally play.